LetsNurture makes it a point to reward years of hard work and dedication by letting the senior employees know that they are truly precious! Kalpesh Joshi completed 4 years of working at LetsNurture as a PHP developer on 6th of September and hence, we decided to make him feel special by rewarding him a customized gift. His joy knew no bounds. “I have been working with LetsNurture for 4 years now and since the first day, each experience has led to my growth not only as an employee but also as an individual.” said he during one of the overwhelming moments that he had. Jignesh, the guy who makes the presence of LetsNurture so strong on the social media forums also completed 4 years at LetsNurture on 26th of September. He too, was awarded with a bespoke goodies and during his speech, he said that “I had an encounter with Ketan Raval at one of the commercial stores when he had offered me a job at his company as an SEO executive. Slowly, I realized the importance of Social Media for marketing of a brand and since then, I am known as ‘The Twitter Guy’. Here’s wishing Jignesh and Kalpesh several more years of happiness at LetsNurture! with the youth and shortlisting some candidates. Some of the students are still visiting us and interviewing for final placements. We can’t wait to make them the part of our team! We are hoping to get in touch with several such talents and making them a part of LetsNurture. As September is the month of holy ‘Navratri’ festival, we decided to celebrate Traditional day on 25th of September. As a part of the celebrations, all the employees were asked to dress themselves in traditional attires and add a bling to the office ambience! A day before, some of us worked really hard to decorate the office with ‘Navratri Theme’ which included traditional drapes, dandiyas and beautiful door hangings! Our office looks really colourful and pretty right now and we are having a great time. See it to believe it! Something goes amiss when the most important part of your life is not around. LetsNurture breathes its life through the nurturer Ketan Raval and he was truly missed a lot during the two months of his absence. And we are sure, he too missed us big time! 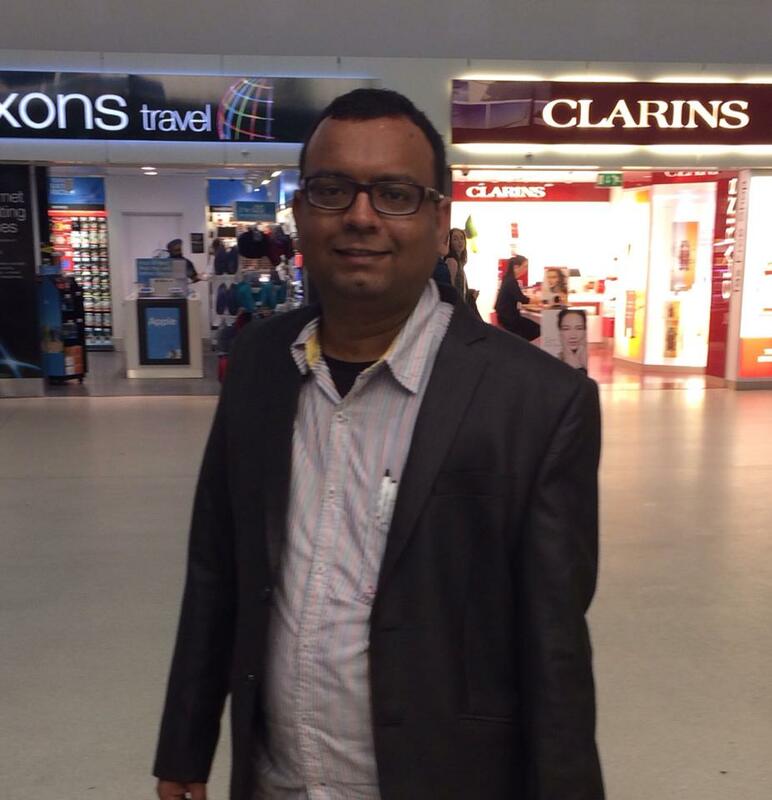 We were elated when he came back to India from his Europe trip on 26th of September. Needless to say, he came back with lots of chocolaty treats for us which we savored to our heart’s content! Here’s thanking him for wonderful treats. 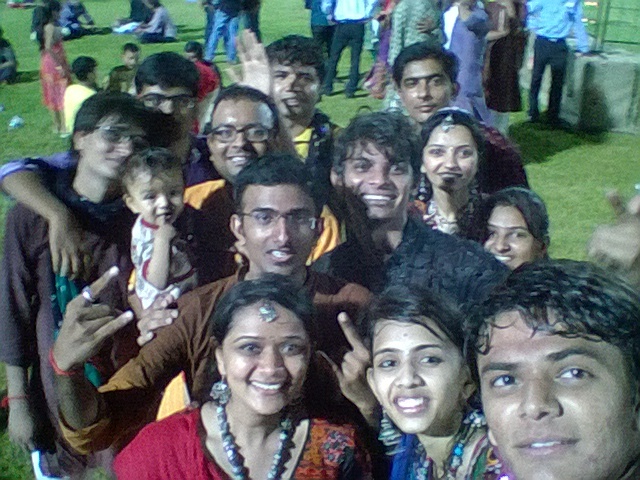 This month, the Garba lovers at LetsNurture definitely had a great time! Free passes were arranged for the employees as well as their family and friends so that they can groove to the Garba tunes. 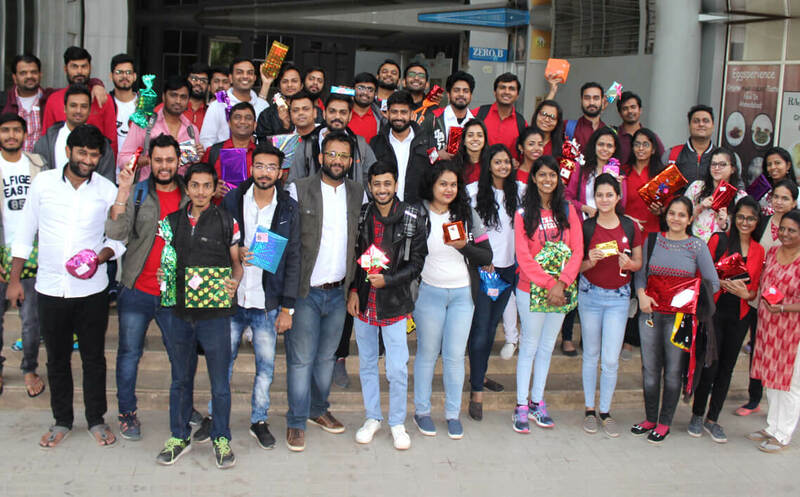 On 27th and 28th, more than 50 employees of Lets Nurture gathered at Barsana Urban Village and Shantigram respectively to make the best out of the Navratri season. Everyone bonded together and danced the night away on traditional Garbas and Raas. Even the authorities were present with their families adding to the happiness of the employees. This event has bonded the employees really well, we must say! Google lovers are omnipresent! Especially the developers who appreciate and imply Google technologies like Android, Chrome platforms, Youtube APIs and Google Calendar. On 27th of September, GDG road show was organized at Saffrony College in order to acquaint the young students with the latest technologies. Pratik, one of LetsNurture’s developers was privileged to be a part of it and offered outstanding insights to the students out there. He gave a fantastic presentation on Google’s Chromecast and informed the students about beacon technology with practical examples. The other presenters were Paresh, Dhrumil, Vaibhavi and Dhruva. This event ended with lots of games and fun! How can there ever be stress at work place when there are sessions to make the moments lighter? Kuldip introduced us to laughter therapy this time which was quite helpful to in warding off all the boredom, frustrations and stressors! The best part about these sessions is that he always asks for feedbacks from the employees as to how do they feel after the therapy sessions. Yoga is helping a lot in boosting the productivity at LetsNurture. This month, we celebrated the birthdays of Kuldeep, Ravi, Pankaj, Milan, Jiten and Manan. 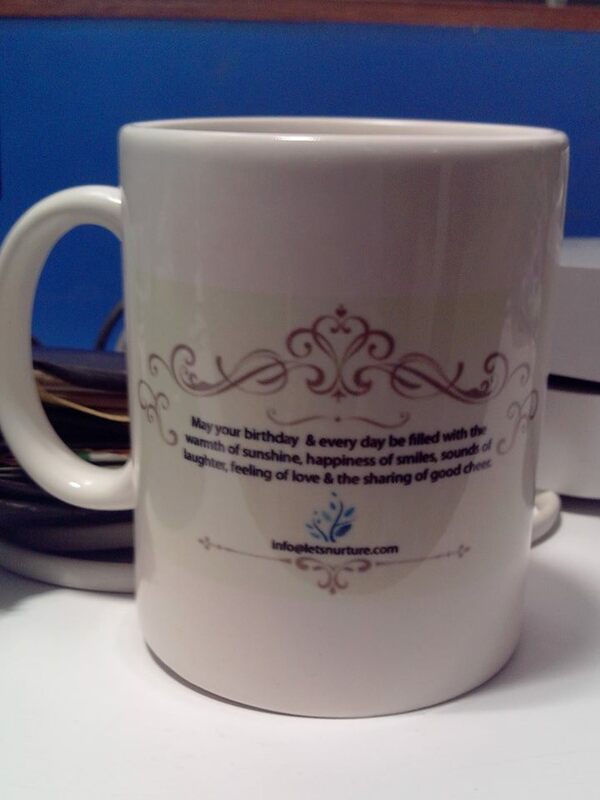 All the birthday boys were gifted a personalized mug which brought a smile on their faces. Here’s wishing them a year full of happiness from LetsNurture again! LetsNurture always thrives to deliver quality to the client as well as employees. If you are looking for a firm where you are not only bound to work but you enjoy your mundane routine, LetsNurture is definitely a good choice. Join our amazing team. « Lets Nurture Marks Its Presence at The Shape South Asia Event!